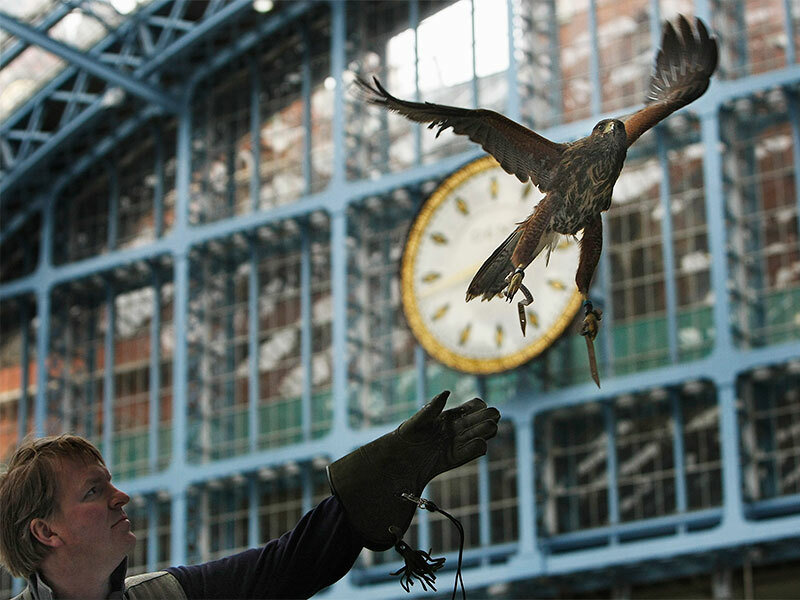 Our experienced falconers and specially trained birds of prey deter nuisance birds from a range of sites including schools, hospitals, shopping centres, train stations and depots; aircraft hangars; warehouses and factories; landfill sites and transfer stations; government buildings and large public spaces. This is a non-lethal deterrent programme, a natural and effective measure, where the aim is not to kill, but to deter. The public is supportive of our programmes and our clients benefit from positive public relations by dealing with the problems caused by nuisance birds in a humane and responsible way. 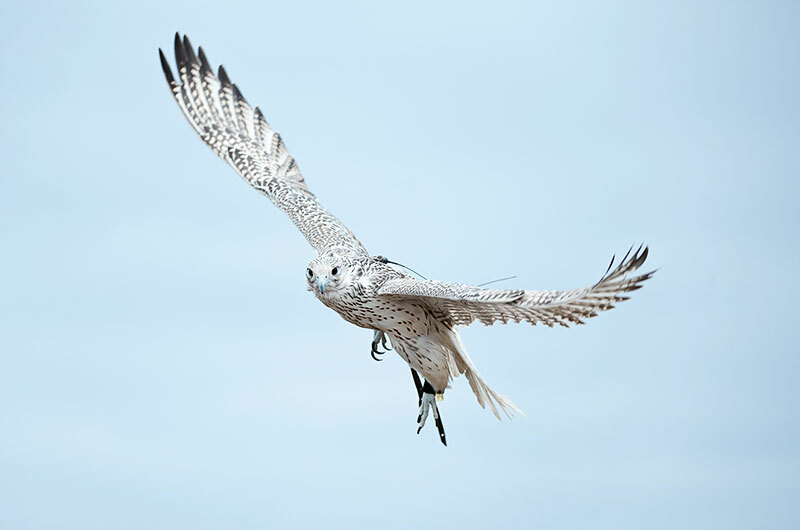 Using a live bird of prey works by altering the behaviour patterns of the target species. The presence of the hawk overpopulates the area with predators, which causes the nuisance birds to adopt a new pattern of behaviour – away from the target site. This can take a number of visits to achieve. However, once the target species pattern of behaviour has been altered, control can be maintained with a programme of routine follow-up visits. We use our hawk and falcon flying services to deter a variety of species including gulls, pigeons, geese, rooks and crows, and ground nesting birds such as lapwings. Unlike other bird-scaring devices, the target species never becomes habituated to the presence of a live bird of prey. Our hawks and falcons are domestically bred and specifically trained as working birds. This is important, and is one of the differentiating factors between A & M Hawk UK and some other companies offering hawk flying in urban environments. Only hawks that have been specially trained as working birds should be used for urban bird control. 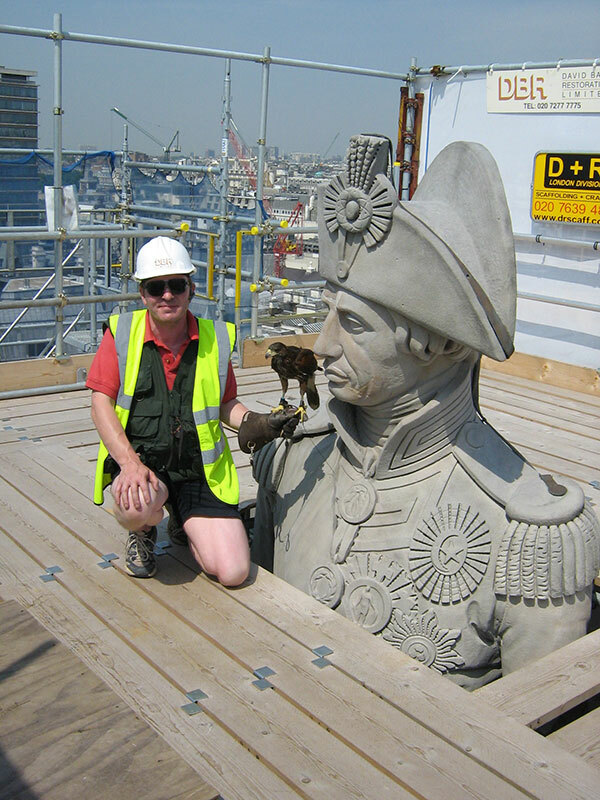 We will conduct, free of charge, a survey of the problems caused by nuisance birds at your site. 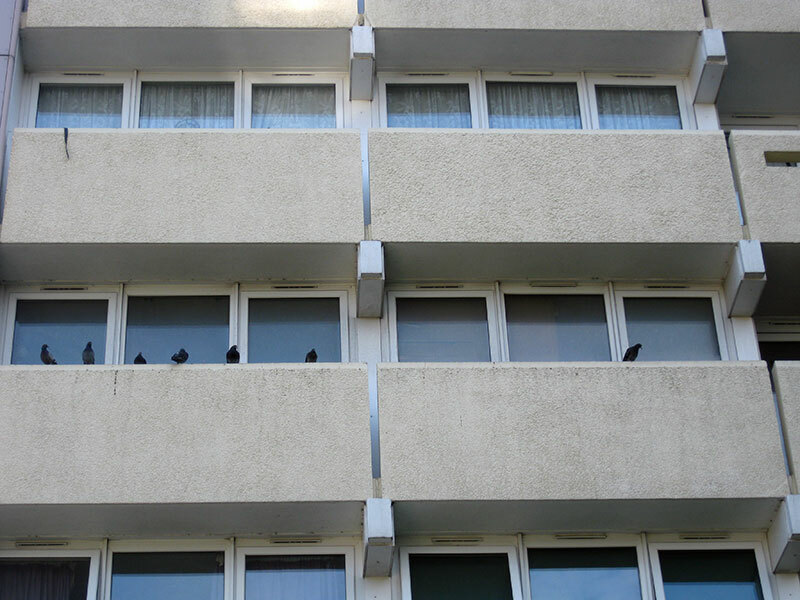 We take into account factors such as the availability of food and roosting or nesting sites, and design a bird control strategy to suit your requirements, and achieve the absolute minimum of bird activity within your budget. All falconers undergo falconry training leading to a formal Lantra Falconry award, which is approved by the Hawk Board. In addition, they complete extensive training in all aspects of bird control. Staff are well spoken, carry identification and neatly presented in a uniform. They are fully aware of legal aspects and sensitive to public opinion. All of the hawks and falcons flown by A & M Hawk UK are domestically bred; company owned; never used for hunting; and specifically trained as working birds. They are deployed exclusively for nuisance bird control, and are accustomed to flying in urban and working environments. They are undisturbed by the presence of the public, machinery or vehicles, and concentrate fully on their work, looking only to their handler for direction and reward. This is important, and is one of the differentiating factors between A & M Hawk UK and some other companies offering hawk flying in urban environments. Only hawks that have been specially trained as working birds should be used for urban bird control. 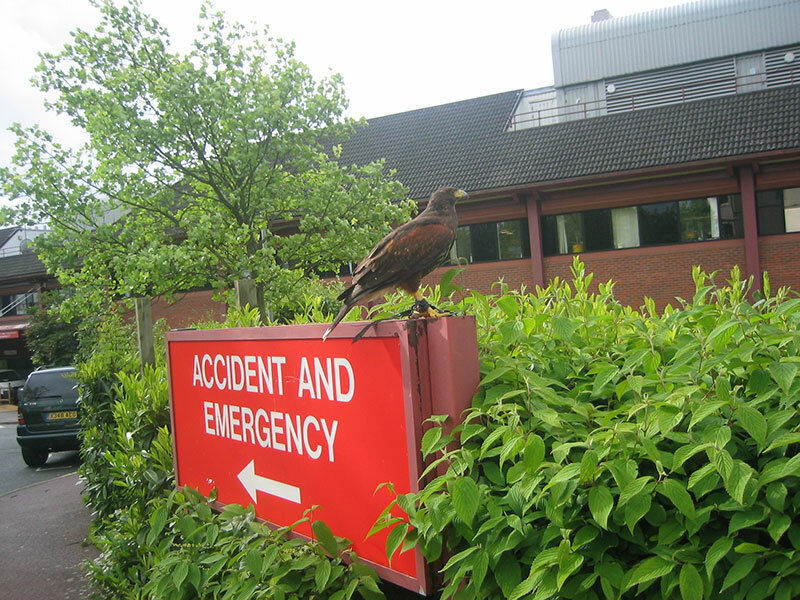 The welfare of our birds of prey is of paramount importance to all of us at A & M Hawk UK. All falconers at A & M Hawk UK are fully committed to providing a quality service to our clients whilst upholding the highest standards of integrity with regard to our working birds. As valued members of the team, their needs are always considered above those of the business. When being transported, our birds of prey are secured in a travelling box designed specifically for this purpose. This ensures that they are transported safely. 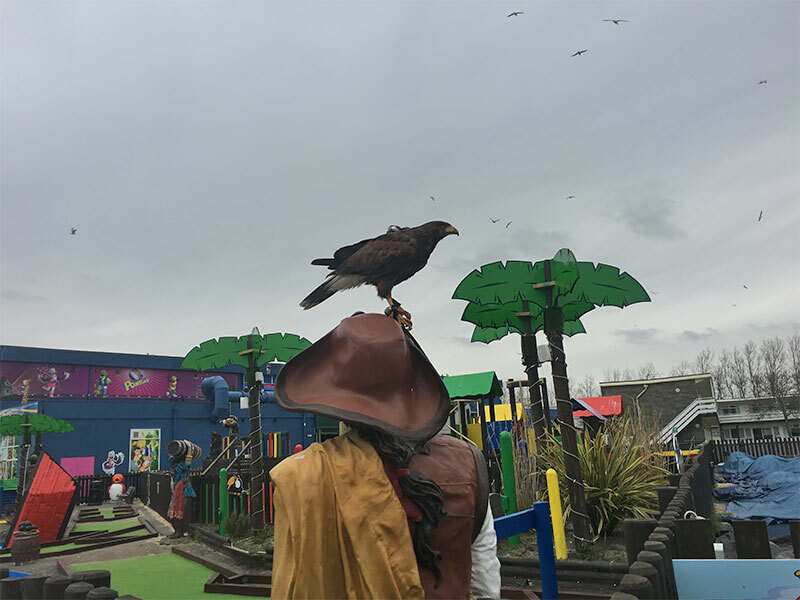 Our birds of prey are flown daily, weather permitting – and a member of staff is assigned to this task to ensure that all our birds remain fit and well exercised even if they are not working. We have gained permission from several local landowners to fly our birds of prey over their land for exercise, which means that we always have a place to fly them. The birds are fed a varied diet, which is sourced from a reputable supplier and their daily food intake is recorded to ensure that they are receiving the correct nutritional balance. The birds are housed in clean, airy accommodation, which has been built to our own specifications. They are free-lofted, which means that they are not tethered at all, and they have permanent access to fresh water. Each aviary has a variety of perches, which enables our birds to rest wherever they prefer, and to move around freely. The large, meshed front and rear ‘windows’ allow in plenty of light and air, whilst affording the hawks and falcons views in at least two different directions. The accommodation is set amongst trees and plants, which give our birds something interesting to look at. At night our birds of prey are transferred to a secure locked unit.